What do you get when you combine a 1950s Americana lunch counter with traditional home-cooked Lebanese food? Cozy and retro Luncheonette, Aida’s Cozy Kitchen. Yes, such a combination really exists. With a vintage soda-shop counter and home-y country decor, stepping into this lunch spot is a foodie experience with a vintage twist. If you’re looking to sample Middle Eastern cuisine right in the middle of Chatham’s busy Main Street, this is your place! Read on to see what I tried — and what you need to be checking out. I’m not so much a fan of eggplant, but since baba ghanouj and the other dishes of this platter are vegetarian staples, I dug in anyway. While the baba ghanouj was perfectly fine, it just wasn’t enough to completely change my aversion to eggplant. However, the falafel and hummus really made up for it! I wish there were more of both. The flavorful hummus is more than your standard grocery store buy, so clearly some time and energy went into its preparation. My only complaint on the falafel is that I wanted more! Golden, crispy, and delicious, the trio of them was delicious — and worth going in for seconds. 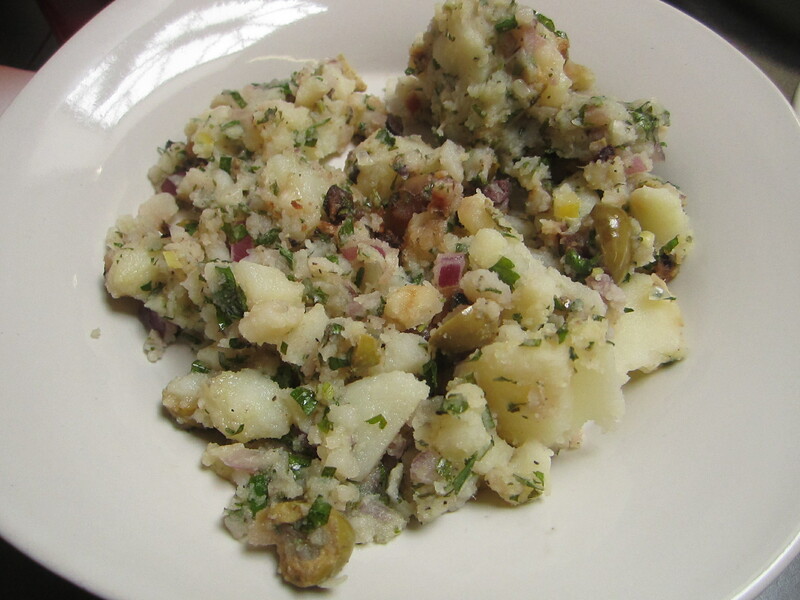 I wasn’t expecting to enjoy this potato and olive salad (picky as always, I’m not a fan of olives or cold salad dishes), but I actually kicked back quite a few spoonfuls. 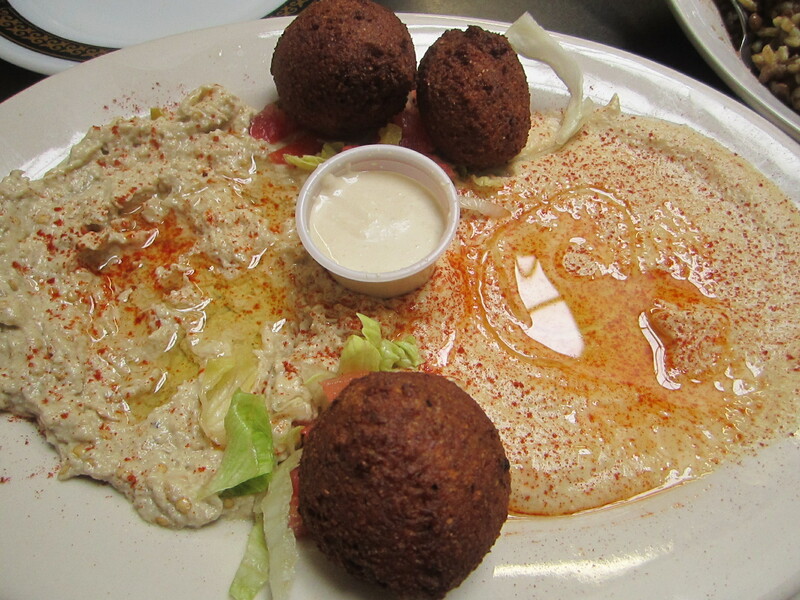 The fresh flavors worked well together — and felt like a combination of Mediterranean and Middle Eastern specialties. 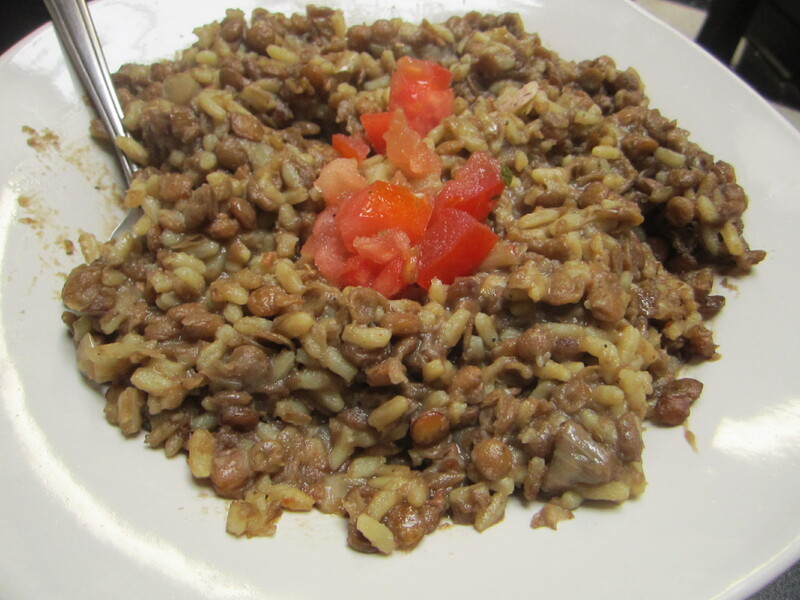 I tasted mjadra, a hearty rice and lentils dish, for the first time at Aida’s — and I must say that this was my favorite dish of them all. Of all the dishes I sampled at Aida’s, I really felt that homemade straight-out-of-mom’s-kitchen vibe from this one. Even though spring is really warming up, I would love this dish for dinner on a bitterly cold day — it really warms you up and sticks to your ribs, as they say. Overall, the experience at Aida’s was enjoyable. The Lebanese dishes tend to be on the expensive side and the small space is very crowded at lunch time (which naturally slows everything down), but it’s still worth checking out if you are in the area! If you go, Aida’s Cozy American Kitchen is located at 233 Main Street in Chatham, New Jersey. Please refer to the Chatham Patch for opening hours and other details. ← Foodie Friday: Score Some FREEBIES!